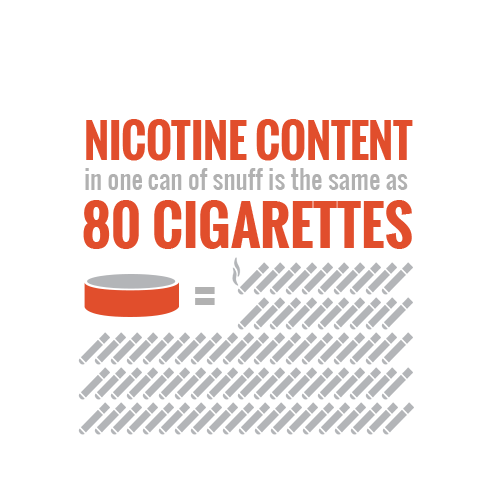 There are more than 600 ingredients that go into making a tobacco product like cigarettes. When tobacco is burned, it produces more than 7,000 chemicals in its smoke. Among all of these substances, several hundred are toxic and about 70 cause cancer. But don’t be fooled into thinking that smokeless products like chewing tobacco are safe—they lead to cancer and other diseases too. The tobacco plant, Nicotiana tabacum, is a member of the nightshade plant family that includes potatoes, eggplants, tomatoes and peppers. There are many different varieties of tobacco and it is grown in countries around the world. Studies have found it to be just as addictive as heroin, and in fact, nicotine dependence is the most common form of chemical dependence in the U.S.
Tar: Sticky substance that settles in your lungs. It’s also used to pave roads. Formaldehyde: Used to embalm dead bodies. Polonium 210: Radioactive and very toxic. Vinyl chloride: Used to make pipes. Chromium: Used to make steel. Lead: Once used in paint. Cadmium: Used to make batteries. Carbon monoxide: Found in car exhaust fumes and increases your risk for cardiovascular disease. Hydrogen cyanide: Used in chemical weapons. Ammonia: Used in household cleaners. Butane: Used in lighter fluid. Toluene: Found in paint thinners. Find out the short-term and long-term impact these dangerous ingredients can have on your health.